Animal diversification continued. The increase in volcanic activity at the mid-oceanic ridges caused the oceanic basins to contract in volume, and the surface of the oceans to rise. Shallow seas were wide, and corals, moss animals, Brachiopoda and Trilobites formed layers of limestone in the Baltic Sea. 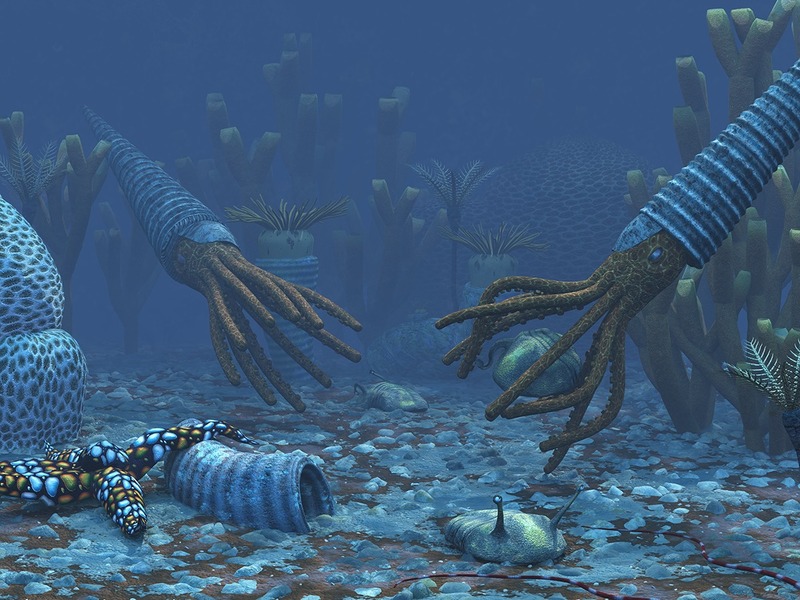 During Ordovician, the Baltic sea had also nine meter long Orthocerai, relatives of modern squids. The first jaw-less vertebrates evolved. In continental Finland, only a few microscopic fossils have remained intact in the shelter of meteor craters.